OLYMPIASTADION, HELSINKI, FINLANDIA, 16 JUNIO 2003. Primer concierto oficial editado en CD de la gira The Rising. Grabado por Toby Scott y Doug Reid﻿. Mezclado por Jon Altschiller. 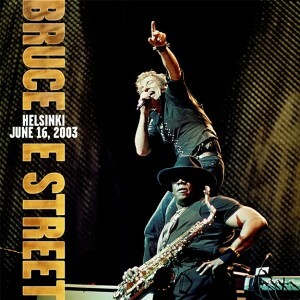 Bruce's first ever appearance in Finland. "Born In The U.S.A." is solo acoustic (in the soundcheck and show). "Mary's Place" includes "The Monkey Time" and "Baby I've Been Missing You". Come on up for the rising. At long last, the first live archive release from the Rising tour is here: Helsinki, Finland, June 16, 2003. What took so long? Let’s address that right off the bat. The detailed answer is quite technical in nature, but in a nutshell, Rising tour recordings were made on what was then a state-of-the-art DSD (Direct Stream Digital) system, the first to offer high-resolution audio in an easily transportable, multi-track recording unit. But 15 years later, the proprietary nature of the software and hardware elements in that system have caused what might best be described as forward-compatibility issues, making it challenging to restore the original recording files. Helsinki is the first successful result of ongoing efforts over the last several years to address the problems. Listening to the show now, one would never know how difficult it was to recover the multi-track recordings, as Jon Altschiller’s crystalline mix shines brilliantly and brings out fine details in the lush arrangements of the Rising material featured. Helsinki is a Rising showcase, offering nine songs from the album performed with gravitas befitting much of the subject matter. While but one tour removed, the spirit captured in Helsinki is quite distinct from that of Chicago ‘99 released last month. The playing is equally accomplished, but there is more narrative unfolding, more stories being told in a very intentional manner. It makes the contrast between heavier material like “You’re Missing” and “Into the Fire” and that of lighter fare like “Mary’s Place” stark, with the night’s high-spirited songs offering release and relief, recognition that there is light beyond the darkness. Different tour, different mission. Exemplary of this solemn and bold approach is “Into the Fire,” which opens with Patti Scialfa’s haunting vocalization and Springsteen’s most direct lyrical reference to 9/11. When the band kicks in majestically before the second verse, we can only marvel at the sympathetic support. Nils’ pedal steel bends expressively throughout, and while she has performed with the E Street Band ever since, Soozie Tyrell’s contributions have never felt more vital. She’s the musical lynchpin of the song, and she pulls significant melodic weight all night long. Even “Dancing in the Dark,” performed in what is otherwise its purest form since the 1984-85 tour, deftly downplays synthesizer in favor of Tyrell’s violin carrying the melody. 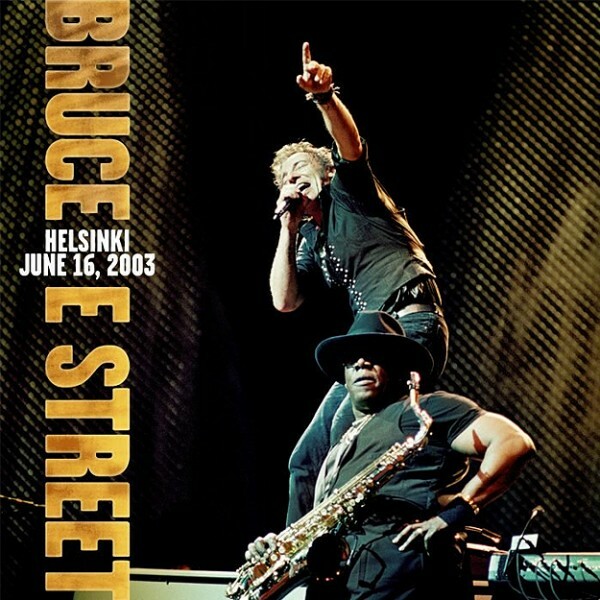 It seems apropos that nine Rising songs are paired with seven from Born in the U.S.A. Sure, this is Bruce and the band’s first-ever show in Finland, so drawing from their most popular album makes sense. Yet the incorporation of so many tracks from both records also suggests that their characters and stories are intertwined, that the people who inhabit “My Hometown,” “No Surrender,” and “Glory Days” went on to experience what unfolds across The Rising later in their lives. Hearing so much from both chapters of that narrative makes Helsinki powerful. Powerful is a word that stays top of mind listening to the full 25-song set, which by Springsteen standards is as focused and straightforward as any I can recall — with the exception of a delightfully shambolic “Ramrod,” which rolls on for more than 12 minutes including an extended piano solo by Roy Bittan. The evening’s catharsis peaks with “My City of Ruins,” its gospel-tinged musical cleansing perfectly positioned as a restorative in the encore and the ideal segue to the life-affirming “Land of Hope and Dreams.” A potent pairing. On its debut, the Helsinki audience impresses, singing along and responding passionately, as evidenced by the call and response at the end of “My Hometown.” The same can be said of the band, performing with utter confidence and control.